The municipality of Begur is situated on one of the most beautiful coastal sections of Catalonia. 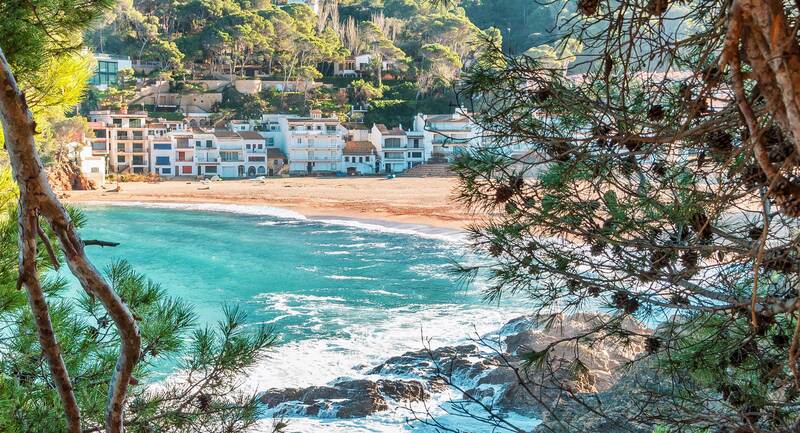 With its distinctive bays and beaches, it is one of the most outstanding places on the Costa Brava. 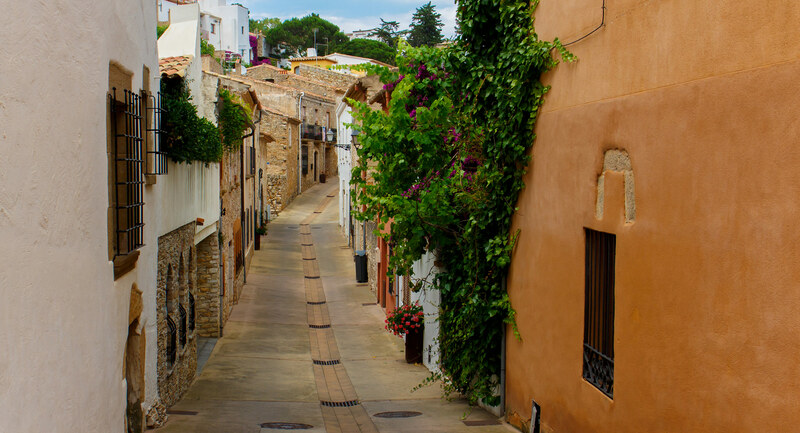 The historic center of Begur with its numerous sights completes the dreamlike scenery. 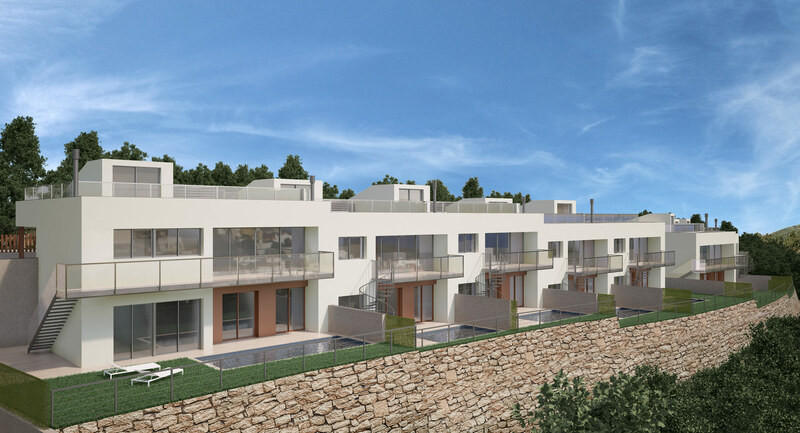 The “Villas del Sol” offer perfect conditions for year-round use as a holiday home or second home. 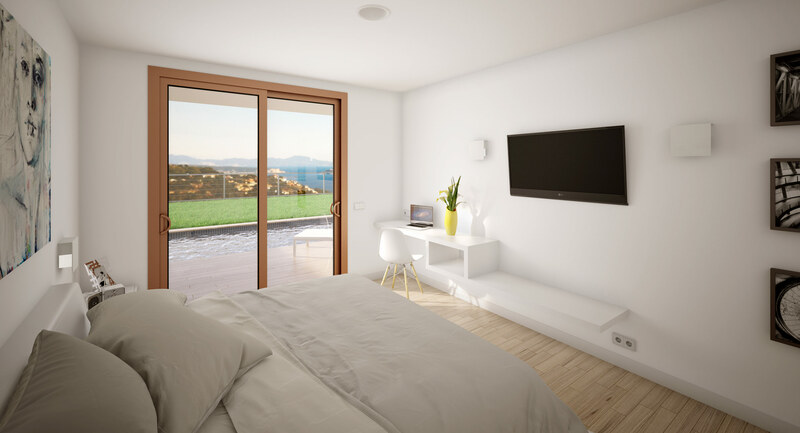 Direct sea view, unobstractable hillside location in the upper row and the walking distance to the best restaurants of Begur offer besides the extensive equipment highlights a living and holiday experience of the very special kind. We want to keep you up to date, give yourself a picture of the current construction progress . Begur is located in the region of Girona, Catalonia, in the heart of the empordà – the backup area of the costa brava. In addition to the 4000 inhabitants, not only foreign tourists populate the municipality, but also many Catalans who have their second home in the municipality. It is the combination of many factors, such as the climate, the landscape or the cultural offer that make the region as viable as the economic strength of Catalonia. Around Begur there are a seven bays and beaches. The breathtaking backdrop with cliffs, pine forests and bluffs is well-known far beyond the national borders. The crystal-clear water and the hidden waterways are also characteristic. The scenic Begur, with its historic center and medieval castle above the town, is a popular destination. Romantic alleys and a variety of restaurants and cafes invite to linger. 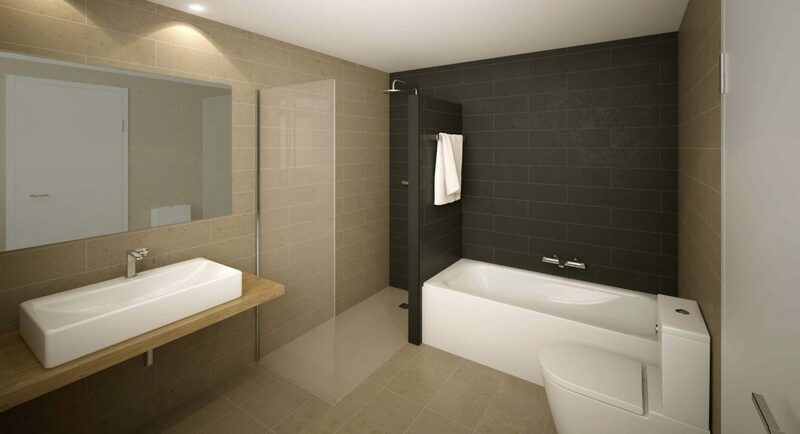 Those who want more experience will appreciate the proximity to the metropolitan city Barcelona. You dive into the flair of a Mediterranean metropolis there. The medieval quarter with its beautiful buildings of the Art Nouveau and the avant-garde of the 20th century are admirable. Guests can enjoy the market in “La Rambla” and then dive into the world of countless bars such as the “Bar Mundial” or restaurants like the “Botafumeiro”. Barcelona offers itself as a destination of a sailing trip along the coast to south. In the evening a delicious paella lures right at the market or one of the fish restaurants in the bays Sa Riera and Sa Tuna. On the way home you should not miss to drink in one of the bars in the old town “uno copa de vino” or a cocktail. Begur has a Mediterranean climate. 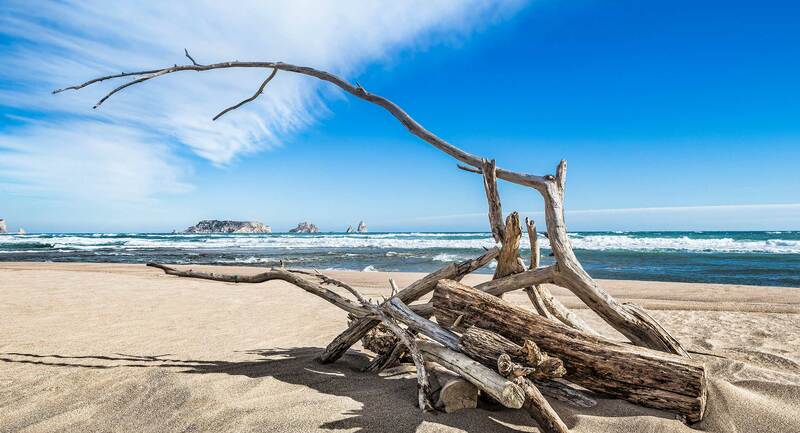 As on the entire Costa Brava, the weather is classified as warm and is therefore a perfect holiday region. With a yearly average temperature of 15 ° C and a very low rainfall of 600 mm, ideal spot also for the whole year use. 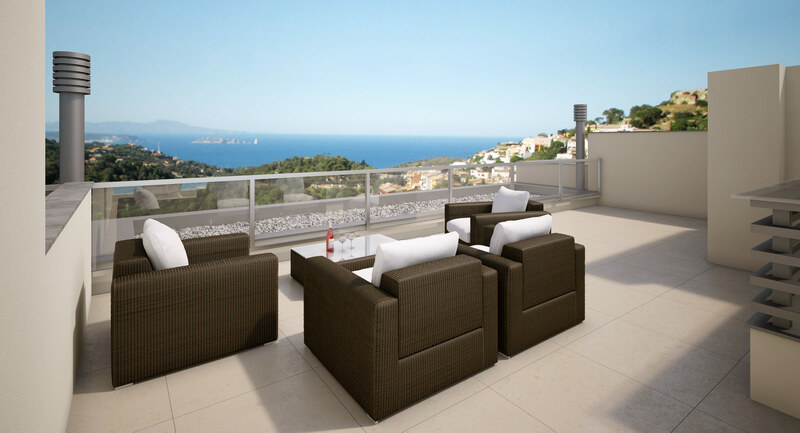 The property “Villas del Sol” is situated in an excellent location with a fantastic sea view. 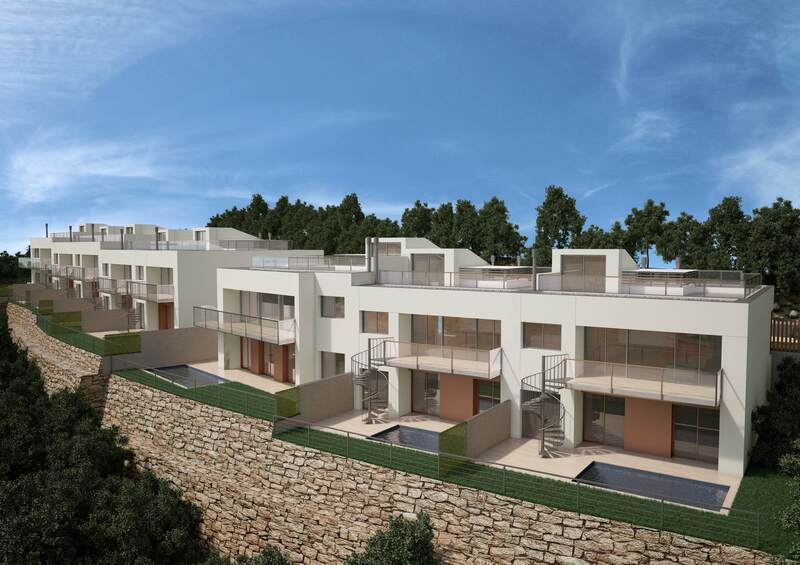 Each house offers a living space of a detached villa, attended by the convenience of an unobstructable and easy care property. The modern architecture has a high-quality equipment an many more highlights. 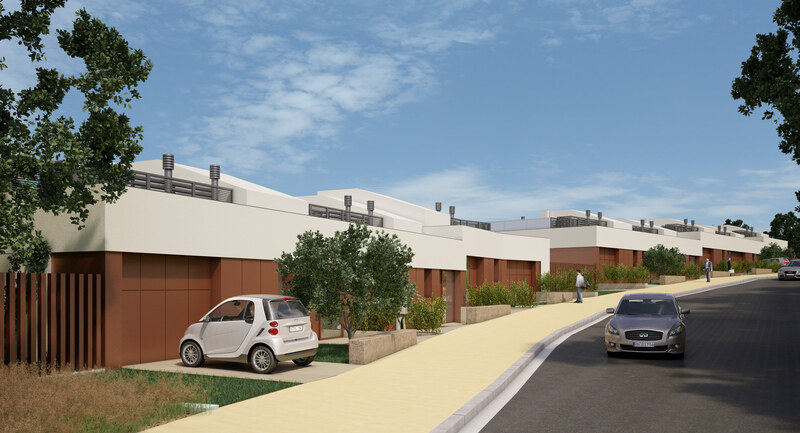 Six villas with approximately 275m² pf living space have a large living / dining area each with four bedrooms and bathrooms, complemented by an outdoor area with a heated pool, a roof terrace and an impressive light courtyard in the middle of each building. With an area of 337m², Villa Grande offers more space on each level, including a further bedroom. 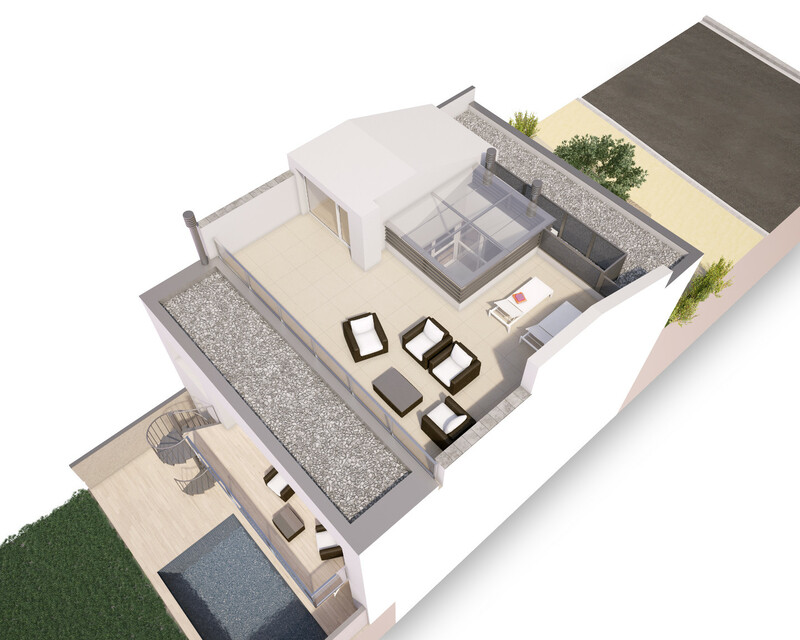 The corner plot for a larger pool with extensive terraces and sun loungers. 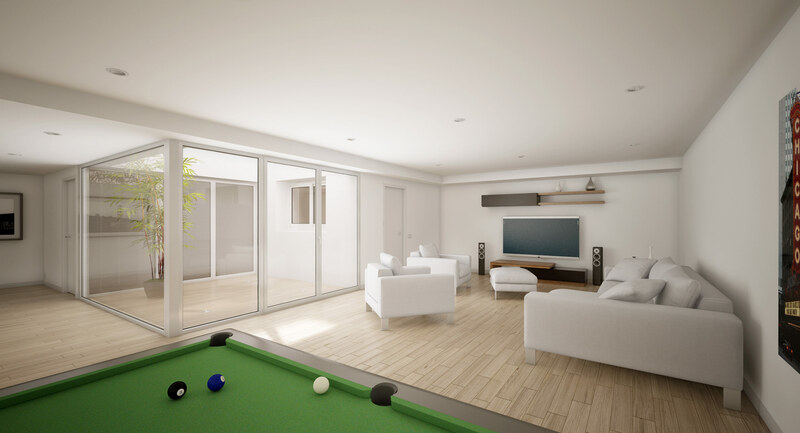 Owners or renters of a capital investor should feel equally comfortable and enjoy the use of the property. The breakfast after sunrise on the balcony terrace as a preparation for a relaxing round of golf in one of the nearby golf resorts. Common barbecue with friends on the rooftop terrace or just relaxing at your own heated pool during the day – that are just a few of a variety of options. Even a celebration can last longer. The easiest way is to use the media and fitness room on the ground floor in the later hour or on cold nights. 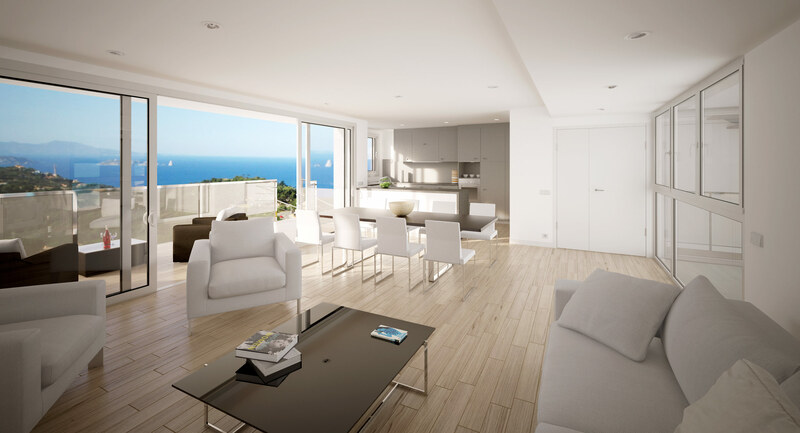 The interior of the “Villas del Sol” is designed for a year-round stay. Owners or the renter of a capital investor should feel equally comfortable and enjoy the use of the property. The breakfast after sunrise on the balcony terrace as a possible preparation for a round of golf in one of the nearby golf resorts. Common barbecue with friends on the rooftop terrace at sunset or just relaxing at your own heated pool during the day are just a few of a variety of options. Even a celebration can last longer, the easiest way is to use the media and fitness room on the ground floor in the later hour or on cold nights.